Melania and Ivanka Trump have been selected by The Hill for 2017’s “50 Most Beautiful” list, and it’s really not hard to see why. Melania Trump always looks fantastic whether she is joining the president at events at home or around the globe. Just Tuesday, she looked stunning in a sleeveless floral pink dress as she and Trump attended a rally for American heroes in Vienna, Ohio. The first daughter serves as an advisor to the president and continues to blow people away with her incredible sense of fashion. Several recent examples of this include, the blue lace dress she wore Tuesday at a news conference in the Rose Garden at the White House. There were only a couple on the list that came even close to the Trump women. I’ve watched both Melania and Ivanka since the beginning. They are always impeccably dressed and stunning. Melania reminds me of Jackie Kennedy. She’s easily the most beautiful First Lady in memory. Ivanka is also a classic beauty… both are former models and both are elegant. I would bet you that Michelle Obama hates them with a passion. But of course, they don’t have her arms. 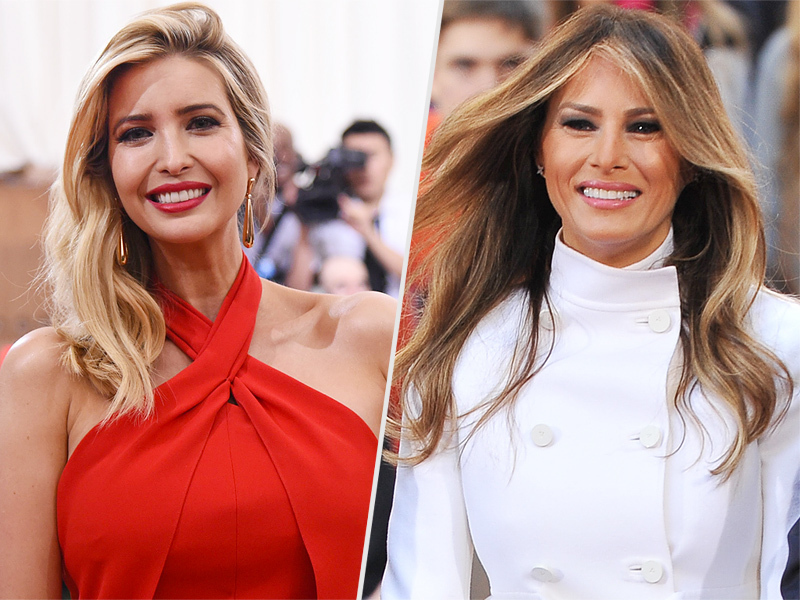 The Trump women received hundreds of nominations for the list. I’ll bet they did. Compare them with the likes of Elizabeth Warren, Nancy Pelosi, Maxine Waters and on and on for the left. It’s enough to make you want to switch parties all by itself. It will be hard for liberals to criticize the list as there are quite a few from the left on it. They have spent so much time hating on the Trump women that any recognition makes the left go unhinged. I find their beauty and grace refreshing in the White House and I adore watching the jealousy and hatred bubble over from the Marxists.